Nick Maroutsos, Co-Head of Global Bonds, explains what he sees as the major factors influencing investors’ decisions in 2019, such as US interest rates, liquidity and central bank responses around the globe. Sharing his thoughts on portfolio strategy, he explains that duration is likely to be altered over the course of this year and why the team will continue to keep volatility low. 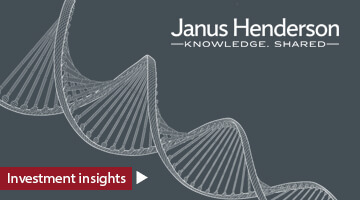 This video was recorded on 10 January at the Janus Henderson UK Investment Conference 2019. For promotional purposes. This document is intended solely for the use of professionals, defined as Eligible Counterparties or Professional Clients, and is not for general public distribution. These are the views of the author at the time of publication and may differ from the views of other individuals/teams at Janus Henderson Investors. Any securities, funds, sectors and indices mentioned within this article do not constitute or form part of any offer or solicitation to buy or sell them. Past performance is not a guide to future performance. The value of an investment and the income from it can fall as well as rise and you may not get back the amount originally invested. There is no assurance the stated objective(s) will be met. Nothing in this document is intended to or should be construed as advice. This document is not a recommendation to sell, purchase or hold any investment. There is no assurance that the investment process will consistently lead to successful investing. Any risk management process discussed includes an effort to monitor and manage risk which should not be confused with and does not imply low risk or the ability to control certain risk factors. Various account minimums or other eligibility qualifications apply depending on the investment strategy, vehicle or investor jurisdiction. We may record telephone calls for our mutual protection, to improve customer service and for regulatory record keeping purposes. Issued in Europe by Janus Henderson Investors. Janus Henderson Investors is the name under which investment products and services are provided by Janus Capital International Limited (reg no. 3594615), Henderson Global Investors Limited (reg. no. 906355), Henderson Investment Funds Limited (reg. no. 2678531), AlphaGen Capital Limited (reg. no. 962757), Henderson Equity Partners Limited (reg. no.2606646), (each registered in England and Wales at 201 Bishopsgate, London EC2M 3AE and regulated by the Financial Conduct Authority) and Henderson Management S.A. (reg no. B22848 at 2 Rue de Bitbourg, L-1273, Luxembourg and regulated by the Commission de Surveillance du Secteur Financier). Investment management services may be provided together with participating affiliates in other regions. Janus Henderson, Janus, Henderson and Knowledge. Shared are trademarks of Janus Henderson Group plc or one of its subsidiaries. © Janus Henderson Group plc.